Life “in the world” can be difficult, no matter if you’re talking about parenting or even a career. We are hard-pressed on every side (II Corinthians 4:8); we constantly come up against people who believe differently, or respond in a manner that may seem abrasive or inappropriate. How can we stand up against what seems like a constant assault on our beliefs? This week, Rachel shares a post that encouraged me in this. The beauty of this post is that there is truly something for each of us, no matter what stage we’re at. 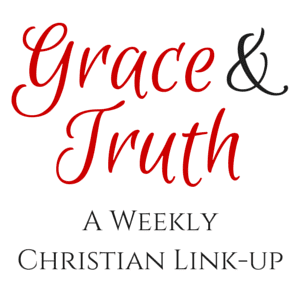 She takes a look at the story of Daniel and what the Bible tells us about him. He encountered many situations where he likely felt hard-pressed. From his name, to the religious issues, to the food from the king’s table, Daniel faced opposition. But what was the only thing that the Bible tells us he chose to stand up against? He did not fight against all of the oppression or things that didn’t line up with his beliefs, but he chose what was most important and fought for that. When we can’t fight against everything, we have to pick what’s truly important. For the rest of oppression we face, Rachel reminds us of this important truth: “Standing up for what you believe sometimes means standing down.” In fact, she has a motto that she uses to remind herself to stay focused on what’s most important – you’ll have to hop over to read it. Whether you’re a mom, a single woman, a career lady, or a grandmother, there is so much to glean from Rachel’s post. Thank you, Rachel, for sharing with us at Grace & Truth this week! Happy Friday, Arabah! Thanks for hosting. Have a blessed week! Rachel’s post sounds like a must read. Thanks for featuring it and for hosting. Blessings!